Well it's about time I updated a belly picture and I thought I would bring along some friends. 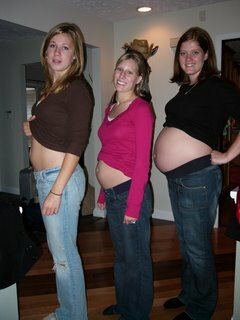 Here is Leanne at approx 11 weeks, Jill at 18 weeks, and then there is me large and in charge at 29 weeks. This pic was Sat afternoon. Today, Wednesday, we had another ultrasound. Gracie was more cooperative because she has less room to move around. She officially has all her parts and they are all perfect. She also has hair on her head already- we could see the fuzzy stuff on the ultrasound. COOL! She is healthy and growing speedily, sucking the life out of me more and more every day but I am loving it thoroughly. Must cut down on working a bit now, not less days but only eight hour shifts at a time. Whatever it takes to get her here safely. We are t-minus ten weeks now so we are getting everything on order. So much fun! Loves and Kicks from Gracie to you all!! 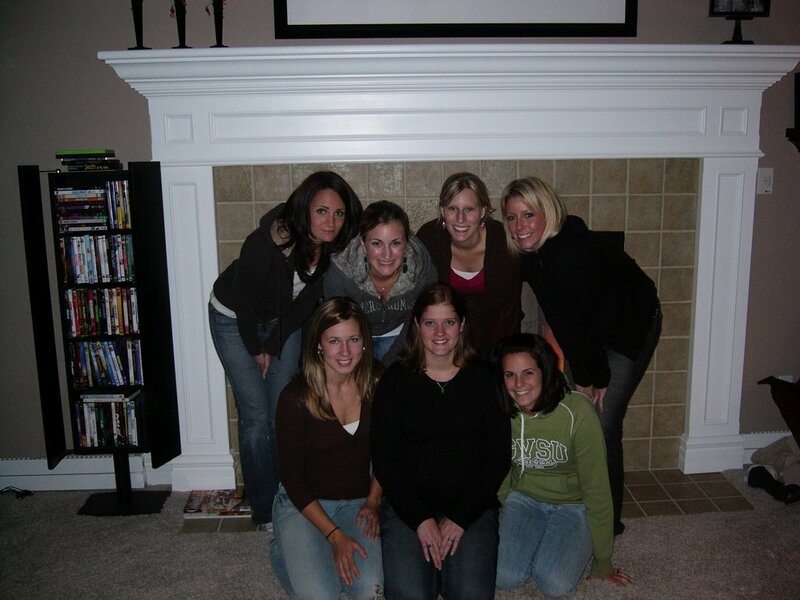 What a bunch of hotties!! We had a blast in Gaylord, MI this past weekend for our annual Harvest get together. So much fun to chill out with wonderful company. Lots of laughs and planty of relaxation was had by all. The weather was beautiful for Sat and then cold and snowy on Sun. Good thing we carved our pumpkins on Sat! The pumpkins were a riot and some of them are not rated for blog viewing :) but congrats to Sean and Kelli who won for their National Geographic picture carving. Here's a pic of all us ladies who were present. The men aren't much for pictures. Then their is the baby brigade pictures. Here's a pic of us from just beginning to all the way done. 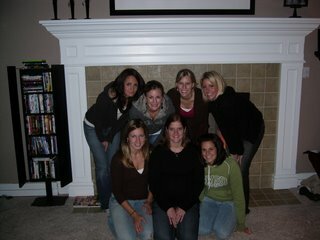 Leanne Deyoung, Jill Spanding, ME, Kelli and baby Jonah. Remember everyone, this is what making out can lead to!! 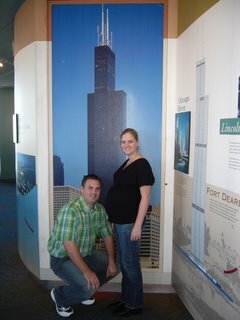 Well here we are 28 weeks and counting. WOW! is all I can say about it. The beginning of pregnancy seemed to last forever and now here we are flying at light speed. Gracie is moving more and more, you can catch a feel if you stop by. She is doing great but once again, her growing has seemed to stress my body a bit and so I almost pass out and get to spend another lovely monday in the ER and on the OB floor getting monitored. All is well in the end but I must once again "Take it easy". I am not sure I am capable of this on my own so i thank my dearest family, baby cakes first and foremost, and moms and dads, sisters and brothers for helping remind me of this. First time for everything right? I am slowly typing today and then will keep working as Gracie permits me to. She knows how to make me stop thats for sure. Next ultrasound in next week and so we will hopefully share pics this time around. Loves to all. 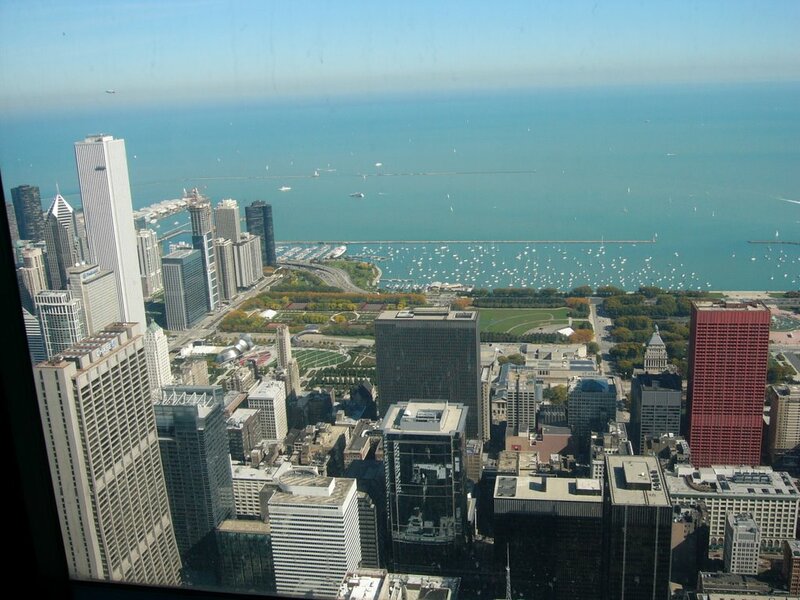 Nothing quite like the view from the top of the Sears tower. Cheryls youngest . Maddie's Aunt Kel-Kel, Dan's youngest sister, is with us too. 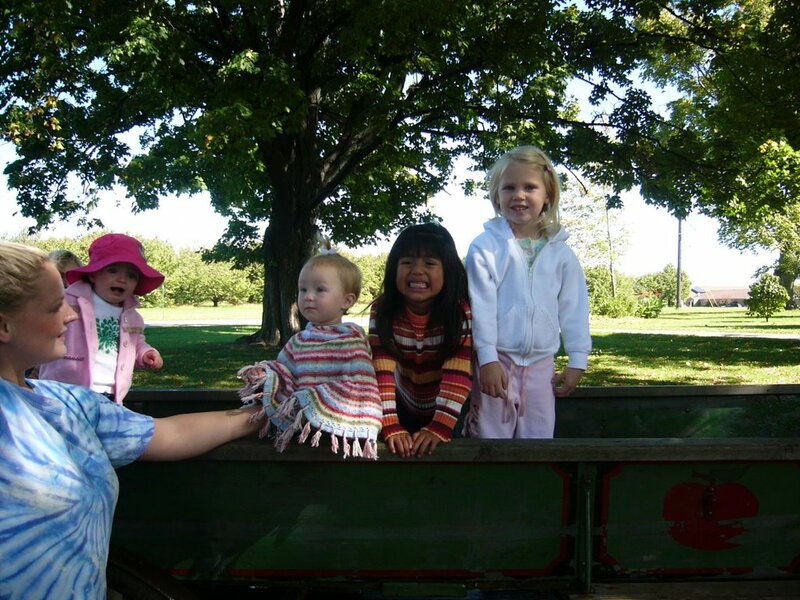 We had fun on a beautiful fall day at the orchard. Fun day out last Tuesday with Maddie, my neice. 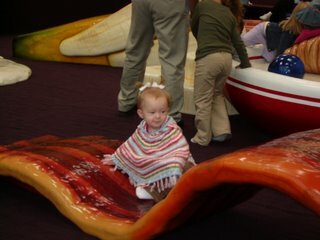 She is getting so big and we went to the mall. Her first trip with Auntie Tracy to play on the breakfast. Her favorite was the bacon for sure. What a doll.